Although pop and country dominated the Billboard 200 for the week ending November 2, several R&B and Hip Hop releases debuted in the Top 10. Chris Brown’s Heartbreak On A Full Moon hit the chart at #3, while Offset, 21 Savage and Metro Boomin’s Without Warning project entered the chart at #4. Yo Gotti’s I Still Am slid in at #6, right ahead of Big K.R.I.T.’s double album, 4eva Is A Mighty Long Time, which made its grand entrance at #7. Ty Dolla $ign’s Beach House 3 almost cracked the Top 10, but fell slightly short at #11 by moving 29,421 total album equivalent units (6,236 pure album sales and a streaming count of 32,043,747). Elsewhere on the chart, Future and Young Thug’s Super Slimey took a 49 percent dip to wind up in the #9 spot and Lil Uzi Vert’s Luv Is Rage 2 is holding steady at #10. #?? HOPE EVERYONE IS ENJOYING SEASON 1 AND 2????! 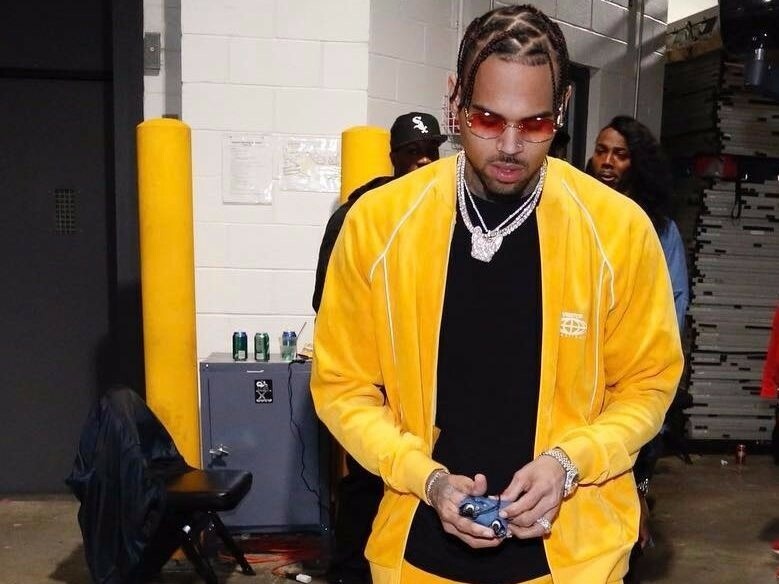 With 68,415 total album equivalent units (25,114 in pure album sales and a streaming count of 59,091,964), Chris Brown’s Heartbreak On A Full Moon nabbed the #3 slot — even with a short sales week since it dropped on a Tuesday rather than the traditional Friday. Packed to the brim with 45 tracks, the album features a laundry list of notable artists, including R. Kelly, Usher, Gucci Mane, Future and Young Thug. The controversial R&B singer, who recently went on an Instagram tirade demanding respect, released his last album, Royalty, in 2015. That album also debuted at #3. Offset, 21 Savage and Metro Boomin’s Without Warning collected 53,360 total album equivalent units (11,353 in pure album sales and a streaming count of 59,656,808), landing them in the #4 slot this week. The album follows a whirlwind for the Migos rapper who recently proposed to his girlfriend Cardi B in front of a massive Philly crowd. He and Cardi also just teamed up on the Migos track, “Motor Sport” featuring Nicki Minaj. S/O To @spotify #IStillAM … ? Dis Only The Jump Off To Multiple Projects We Releasing Before The Yr END.. Get Ready #CMG FLOOD TIME! ??? Memphis rapper Yo Gotti and his follow-up to 2013’s I Am — the aptly titled I Still Am — debuted in the Top 10 with 38,137 total album equivalent units (19,127 in pure album sales and a streaming count of 23,829,718). With monster features from Nicki Minaj, Chris Brown, 21 Savage, Meek Mill, French Montana and YFN Lucci, he was able to mark its debut with a #6 placement. My heart and soul was put into this. #4evaIsAMightyLongTime Out Now! Meanwhile, Mississippi’s Big K.R.I.T. also earned a Top 10 placement with his latest project, 4eva Is A Mighty Long Time, which he admits he went broke making. With 32,649 total album equivalent units sold (21,078 in pure album sales and a streaming count of 16,343,536), hopefully it was worth the sacrifice. This marks K.R.I.T.’s first studio album since 2014’s Cadillactica, which debuted at #5 on the Billboard 200.